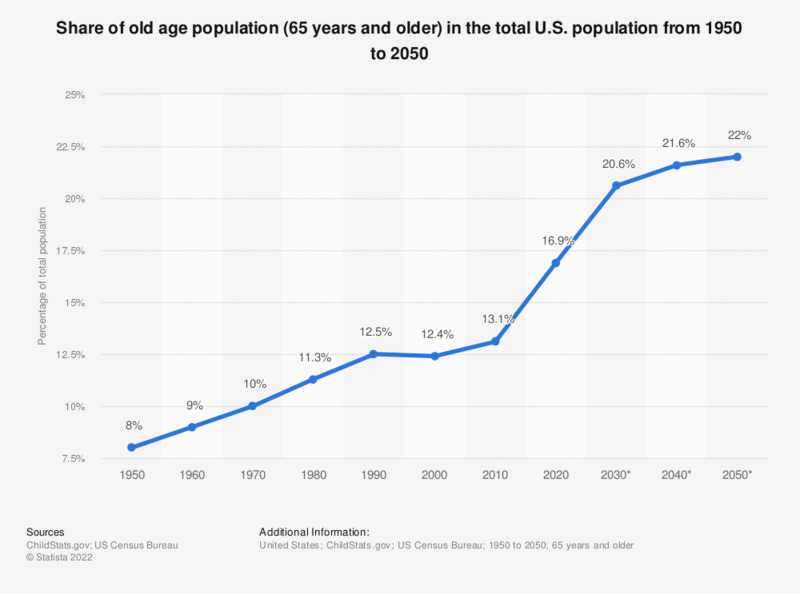 This graph represents the share of seniors - those aged 65 years and older - in the total U.S. population from 1950 to 2050. In 2017, about 15.6 percent of the U.S. population was 65 or older. The Netherlands: which, if any, of the following services does your employer offer to help employees phase into retirement? Do you agree or disagree with the following statements about old age?